Who doesnt love to sew with Christmas fabric? If you have seen my Jingle Jelly Roll Jam Quilt using Ann Kelle’s jingle fabric line, you know what I am talking about when I say, “this fabric line is gorgeous!”. The colors are so bright and cheerful. Each fabric has a Christmas themed design that just makes you want to sew something holiday inspired. 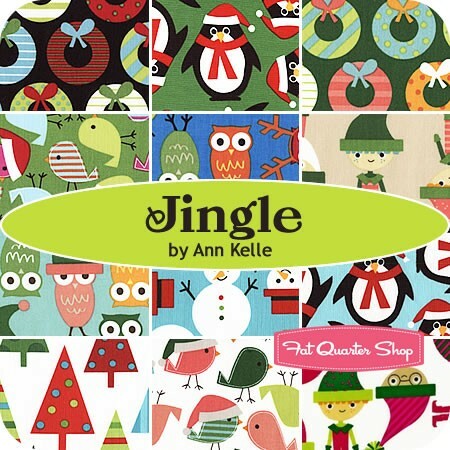 This month Ann Kelle was generous in offering our audience a chance to win some fabric from the Jingle line. I got to admit, I am a bit jealous that I cannot enter myself because I want some more of this fabric for some of my Christmas gift projects. If you weren’t lucky to win the fabric from her giveaway, you can purchase it at The Fat Quarter Shop. 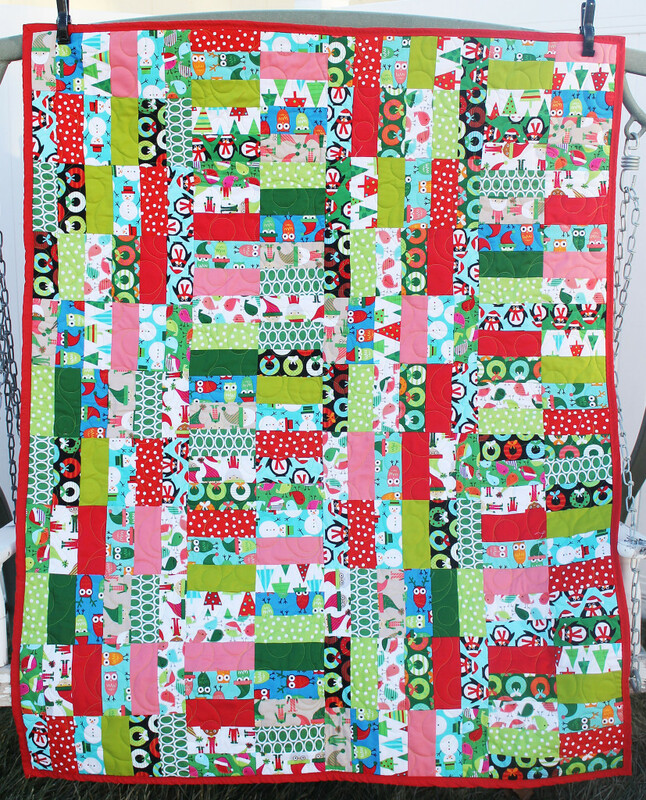 Here is my Jelly Roll Jam Jingle Quilt I made using Ann Kelle’ s Jingle line. 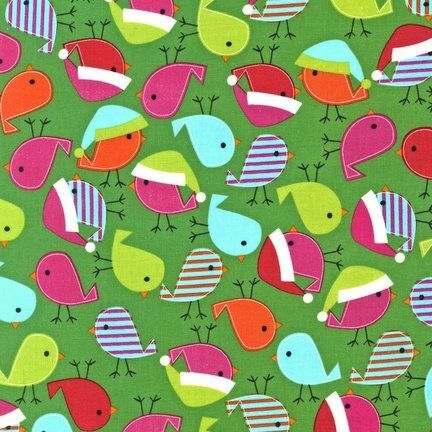 My most favorite design from the jingle line is this bright green birds with santa hats! I am planning on getting some extra yardage to make tablet cases for my coworkers for Christmas. I love how cheerful and festive the colors are. 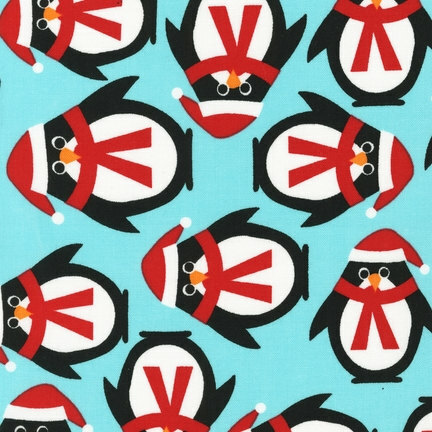 I am in love with the entire line but if I really had to chose a another favorite, it would be the festive light blue penguins with their red hats and scarfs. They are so adorable. I actually bought some of this fabric and cut out these penquins and stuck them on a some onesies using ultrabond for my friend’s baby. She loved them. 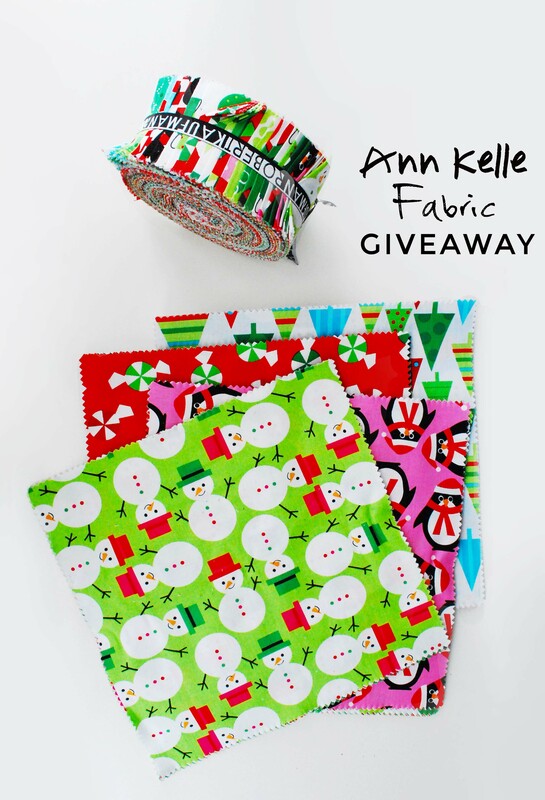 If you want to some of this gorgeous fabric, enter to win below. It will come just in time for you to create your own Christmas masterpiece.